IT appears that a crime spree is currently ongoing across the county after a spate of concerning thefts and incidents. In numerous occasions throughout October, parked cars and vans were targeted by criminals across Fermanagh with vehicles being damaged and in same cases, belongings stolen. 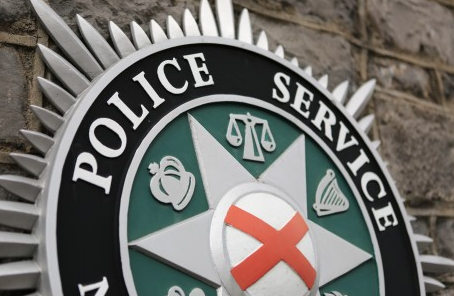 In two separate incidents, a home and a business fell victims to theft and a considerable quantity of jewellery was stolen from a house on the Teemore Road, Derrylin. The burglary took place between 7.45pm and 10pm on Friday night October 26th and as a result of the break-in a man had a quantity of cash stolen along with a gold watch, gold wedding ring and a bloodstone ring. Meanwhile, police have made an appeal for information following a report of the theft of 11 pallets of 2.28kg of Gold Standard Whey powder from premises at Manderwood Business Park, Lisnaskea sometime between 9pm and midnight on Friday October 5th. In Enniskillen, a serious incident occurred in the Chanterhill area when a car which was parked in a busy residential area was damaged by a firework on Thursday October 25th sometime between 5pm and 7am. In a rural farming incident, a red Honda 350 quad with a rear bail carrier was stolen from a farm in Belcoo during the early hours of Monday morning. The Quad is thought to have been loaded on to the back of a van by those who took it despite the owner having the vehicle blocked in with his car. Earlier in the month, another incident occurred on Saturday October 13th when a car that was parked outside a house on the Grogey Road, Fivemiletown had a window smashed, by having a wooden pole rammed through the windscreen. The alarming incident happened sometime between 1.30am and 8am. It is not known whether there is a link to any of these incidents but if anyone has information or witnessed something relating to the crimes, contact police on 101.